It feels like Jill is trying to teach Iz and Sam to be ready to be recorded at any time. That's not healthy. It's possible that she really does believe that she, Derick and the kids will eventually return to the show. 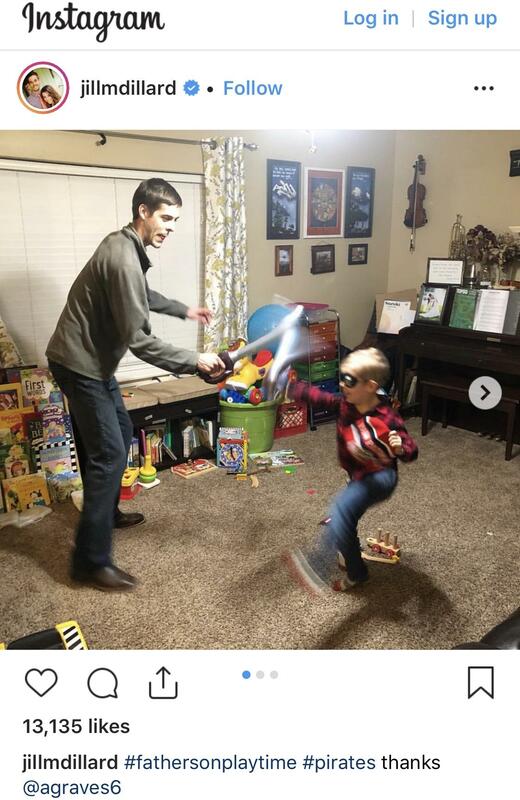 The leghumpers who follow Jill and Derick on Instagram and post on the Duggar FB page are very vocal about how much they miss seeing the Dillards on TV and how evil TLC was to fire them. The Duggars live in an echo chamber which constantly reinforces their belief that they are special and beloved. Jill may think that these fans are much more numerous than they really are and that there actually is a groundswell of viewer support out there that will force TLC to bring them back. 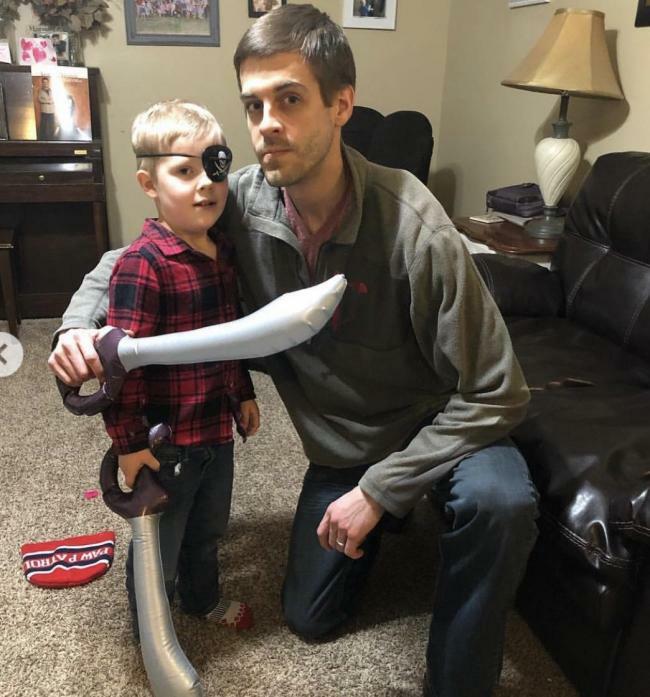 If Jill is resentful that Derick's actions forced them off the show, he may be placating her and reinforcing this delusion with a big dose of "God is on our side, the righteous will always win in the end" rhetoric. With regard to Jill's pics of the clothing. I give her props for wearing jeans or jeggings, whatever. Pants at least. People comment all the time about this grandchild and that grandchild looking like JB, and I really don't see it. In this picture, though, poor Sam looks EXACTLY like grandpa (IMO). ODG. You are absolutely right and now I can’t unsee it. ^^Those are good points. With rare exceptions, my exposure to the Duggars is whatever I see here on PTV, or via a link I found here on PTV. I don't hang out with them, but there IS a fan base for these people, including Jill and Dillweed. Why don’t they ever open their shades? It’s driving me insane. Aaww forced playtime for pictures with daddy! Are those dried flowers on the piano? If so, she must keep her bouquets ad infinitum. She wears jeans to church? The (lack of) color of that shirt does her no favors at all. Seriously Jill, if you are going to 'model' clothes iron them first. Wearing a crumpled mess of a shirt is not helping your cousin's business. And she couldn't have ironed it? Also, what's up with those sleeves? Maybe she's only wearing it to church then changing, but I can't imagine trying to eat while wearing that without dragging the sleeves through cream of glop. God forbid she tries to actually cook while wearing it - she'd set herself on fire! A lot of modern churches have a come-as-you-are dress code. I think it’s getting kind of unusual to get dressed up for church. The sleeves on that shirt are too long on Jill and should be altered. The cuffs pass her wrists by quite a bit. But, since she apparently doesn’t know how to iron, alterations are probably foreign to her. The outfit is totally average and uninspiring. Not a great ad for Amy’s store! I don’t see anything unique or special being modeled here that you couldn’t get on amazon or at target. Nothing like getting a brand new shirt and leaving it in a pile on the floor until it's time to wear it to church. It makes me wonder if that shirt was fairly wrinkled when she bought it. Those clothes from China usually come heavily packaged and need to be steamed before being displayed on racks in the store. I used to work steaming endless boxes of clothes at a big department store for just one ladies department and every shipment took hours. I can't see Famy finding that kind of work too glamorous, so she either skips it or hired someone to do it. I look at that shirt and all I can think is "But, I don't want to be a pirate!" 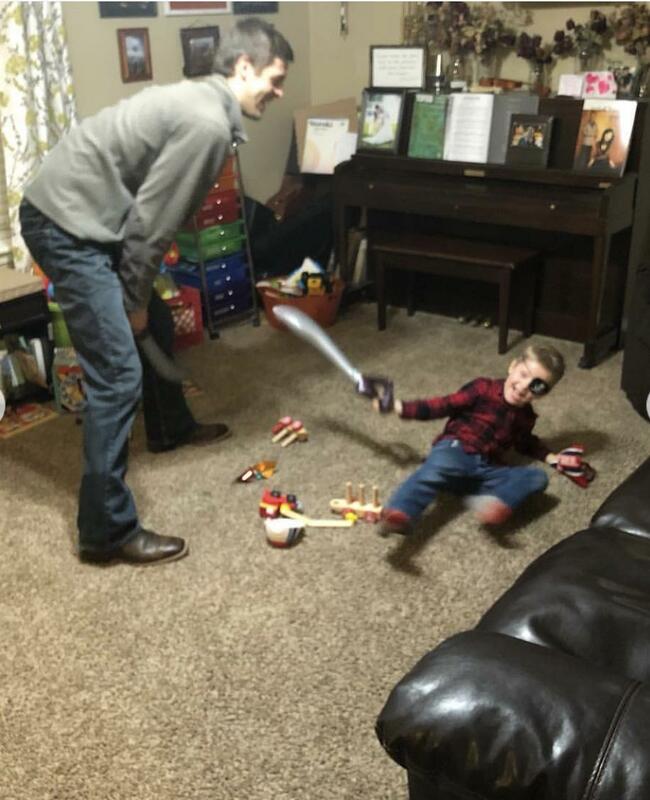 Of course Duggars do enjoy pirate play, so maybe she is just belatedly joining in on the pirate "fun" that Derick and Izzy were having. She needed to wear a bright vest or scarf or a hat with that bland khaki colored shirt. Her outfit is too bland. My church has one casual Sunday each month where you can wear jeans, although they wouldn’t turn you away if you wore them any other time. Jeans are a lot nicer than they used to be. I always understood “come as you are” to be about your spiritual condition as well as your physical appearance. On one hand, I do believe you should put your best foot forward for God, or at least put effort into your appearance. OTOH, it is nice to comfy in jeans and a nice sweater during winter months. Out sanctuary is usually meat locker cold! I can’t fault Jill for the jeans but like everyone else I could slap her for not properly ironing. Magic Sizing is like $2 and a good iron is worth it’s weight in gold. I wish someone would introduce Jill to jewel tones. That shirt is meh to me, but if it were eggplant, claret, navy, dark green, etc. I think she would have looked very nice. At least Jill wasn't wearing some bagged-out shapeless knit top that somebody bought at Goodwill ten years ago. I think Jill mentioned the wind blowing because there's a clump of fabric you can see at the bottom of the shirt in that photo, behind her right hand, which I think was blown there by the wind. And about the ironing. I think someone, either at Amy's store or at Jill's house, did iron or steam the packing wrinkles out of that shirt. The wrinkles on display in that photo look like what you get from wearing the shirt - sitting in it, using your arms, etc. There are pleats running down from the shoulders, and that area doesn't look all wrinkly. Poor Jill is pretty clueless and IMO is just one of those people without much innate fashion sense. Nothing wrong with that, but in her case I think she hasn't had anyone to really show her the way. Maybe she's slowly getting the idea that she could benefit from fashion advice. Too bad if it's from Famy. OT, but does anyone else remember these? Maybe don't buy clothes that will wrinkle easily if you're not going to iron, Jill. It’s the same color as most of her cooking. Just saying... the girl likes beige...even her hubby is beige. I think Jilly was trying to wear the outfit how the model wore it. This just shows how different the clothing looks in person. Jill's top looks cheap quality. Like most of Amy's clothing, Jill's shirt look very 90s. I can't come up with a reference for it, but it does. The fabric seems deliberately crinkly. Oy. It’s that crinkle gauze crap fabric from the 90s. I suppose “broomstick” gauze skirts are now back, too? Of course famy gave Jill several choices, and she loves the frumpiest, most shapeless, most colorless of them all. That black dress that Famy sent her would be great to wear to church, or even that navy shirt with flowers. I wonder why in the world famy sent her this. Maybe she just went through the shop looking for "modest" items that she knew would fit Jill's dress code. I attend a church that is super formal. My dad, and most men, wears a suit and tie every week. Women always wear dresses, except possibly when it's really cold or snowy. Then, dress pants are acceptable, or a skirt with leggings. One time I wore a pair of nice pink capris, and I felt like they were questionable. Nobody would ever consider wearing jeans, though people wear them to church functions like choir practice, fellowship meals, bible studies, etc. I've always found it so odd that the duggars are basically the opposite of this in every way. Their religion insists they wear skirts, but then they wear those crappy jean skirts to worship in. They follow the rules as informally as they possibly can, which kind of seems irreverent in a house of worship to me. They don't put any more effort into worship than they do in everyday life. Yet, my church doesn't care whatsoever what we wearing outside of church, but people take it up several notches to attend worship. Plus, I've never understood why Michelle thinks they all look so ladylike. 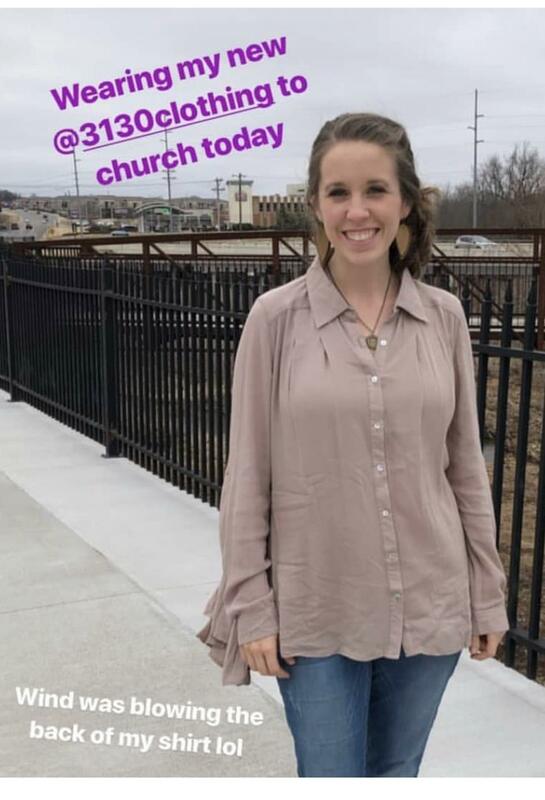 Someone like lauren dresses in a ladylike way IMO, and sometimes Jinger and jana. I've never understood how a frumpy oversized t-shirt and denim skirt is the epitome of feminine! My mother used one of these! She ironed a lot when I was growing up. Mom had the attitude that my sister and I couldn't do it as well as she did, so we escaped ironing and a lot of household chores that one of my good friends was expected to do. Yes, beige is her favorite color in recipes, so it seems natural for her to wear it. At least it doesn't have obvious holes, like the t-shirt Dillweed once wore, that looked like the armpits had rotted out. We had one of these. Green bottle too. It was so awesome when irons started having sprayers. I own an iron but I’m all knits all the time these days. Except jeans. My iron gathers dust and I’m not sorry. The unfortunate blouse would be a pain to iron because of its gathered design and cheap synthetic fabric. The sleeves are much too long to look good or be practical. The sad thing is that Jill posted this photo showcasing the shirt without realizing what a fail it all is. That said, it's sold out on the store's website. Maybe Jilly Dilly is an influencer after all. I am old, too. 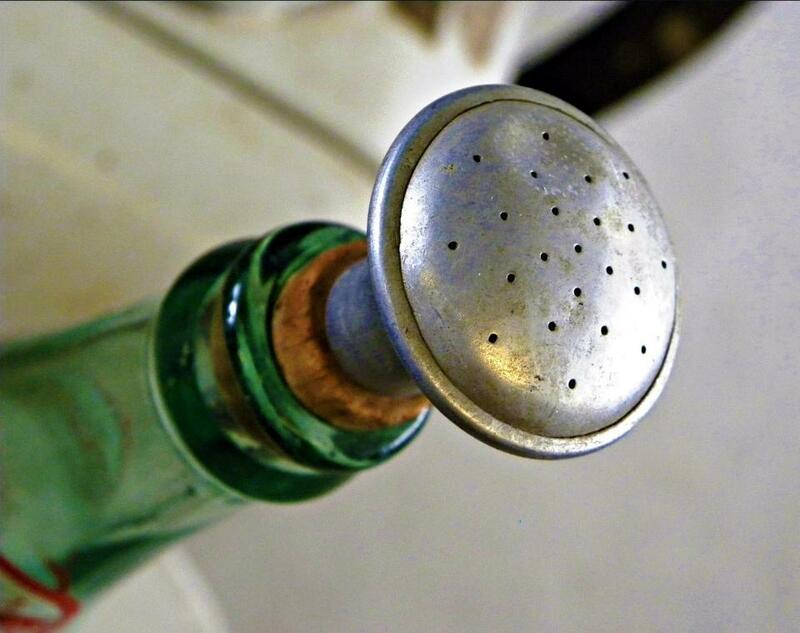 My mom had one of these sprinkler caps inserted into a green 7-up bottle; I hadn't thought of it in decades. My iron is semi-retired. This looks like one of those horrid shirts that when you iron the back after you iron the front you hold it up only to realize the front has wrinkled again. I had the cutest skirt that was cotton with a lot of rick-rack; it was impossible to keep it nicely ironed so I donated it, but kept the adorable blouse that came with it. As to that blouse---Jill, it doesn't belong in your color wheel. If you have to wear it, get some bright earrings and a necklace or scarf. Keep that color away from your face. For years I liked to wear white blouses; ivory looks awful with my skin tone. Then it seemed like overnight, I aged. Now white washes me out something awful unless I add a scarf or a really colorful necklace and earrings. I attend a church that is super formal. My dad, and most men, wears a suit and tie every week. I guess Jeremy would fit right in. The cuffs could be fixed by simply moving the button over a tad. Jana could do that in about 5 minutes. Jill? Never. More likely Amy only ordered 3 shirts, 1 each of small, medium & large. The one Jill is wearing looks a size too large. And I don't think that's a crinkle gauze fabric with cotton in it, looks like a pure poly. But the kind you cannot get wrinkles out of, no matter how much steam you use. I think we've all had those poly shower curtains that NOTHING could get the creases out of. I don't think that's a crinkle gauze fabric with cotton in it, looks like a pure poly. But the kind you cannot get wrinkles out of, no matter how much steam you use. I agree. I have some cotton and cotton-blend crinkle fabric shirts. They don't look like the fabric in Jill's shirt. Mine aren't a lightweight "gauze" but more of a normal shirt weight. The fabric has an overall texture, but it doesn't get creases from sitting etc., when worn. (They weren't cheapo's to start with although I'm big on shopping sales and even found one of them at Goodwill, lol.) However I don't do broomstick skirts. Never have, never will. Just saying. Really interesting article about how much influencers make and also the amount of work that goes into it. I can’t see the Duggar girls putting in the effort, but if one of them wised up they could make some serious money. I hate shirts like that.... ones you put on and within 5 minutes they are all wrinkled. 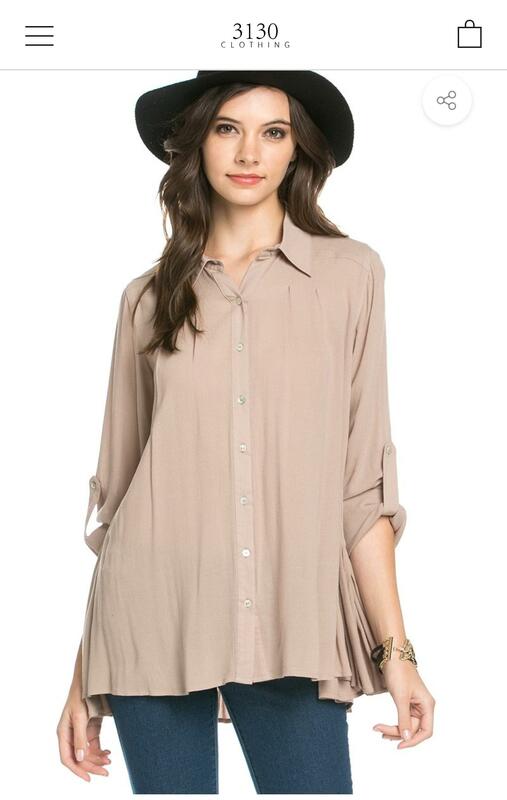 At $28, this blouse was on the low end of the store's blouse selection, and Amy made some money on the markup. The fabric would melt before those wrinkles ironed out. The shirt fits Jill across the bust and more or less in the shoulders. The sleeves are designed for someone much taller. It would probably fit Dereck, and the color suits his dour personality. Iron your shirt Jill!!!! That looks awful and I do not like those sleeves. Precisely what I was thinking. Or Blossom herself, at times. Uh, Valentine's Day is tomorrow, you idiots. Have we heard anything about how second semester is going in law school? No pictures have been posted of Derick in class, Jill bringing picnic lunches, Derick in the library, or Becky in the third row:) It's been REALLY quiet. But it's cheaper to have them delivered today. The apple married someone who reminded her of her dad and his cheapass tree. Geezus, spend five bucks and have them delivered on the proper day. It would have been a compliment to whatever "date night" they'll be overpaying for tomorrow. Red roses for Valentine’s Day. It’s literally the most basic gift there is. Not one that requires much, if any thought. I bought my MIL (she lives in a nursing home) gorgeous yellow roses from Target, for $19.99. I bet it costs way more having flowers delivered. All grocery stores sell lovely, affordable flowers. And Derick doesn't even work! Why is there a smiley face in the middle of Derick's note? Also, blah. I'd be vaugely disappointed if my (currently nonexistent) husband got me red roses for Valentine's. I'd appreciate the flowers, but what a totally expected, basic gesture. (And I'm as basic add they come. Pumpkin spice and leggings all the way.) At least put some imagination into it, though maybe Jill looooves red roses.